Rhea Sherriff-Hammond is a British fine artist working primarily in oils from her farmhouse studio on the North Yorkshire Moors. Rhea trained in Fine Art at Hull University and has featured in solo and group exhibitions mainly in the north of the country. Painterly traditions and disciplines remain central to her concerns, with a love of mythology, Surrealist, Symbolist and Pre-Raphaelite art. Rhea invites us to reach beyond words and language to explore the essential elements of the human soul. She addresses notions of grief, love, death, hope and despair, light and dark and the mysteries of the natural world. 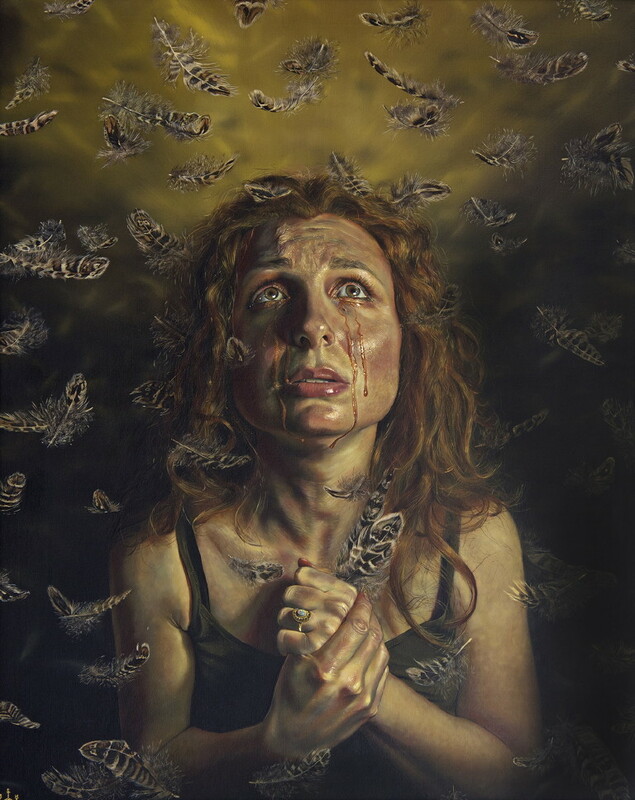 Using oils and embracing the magical properties of gold and silver leaf, the haunting, rich symbolic imagery in her paintings transforms the great chasm of the psyche into universal metaphors for the ‘human condition’.